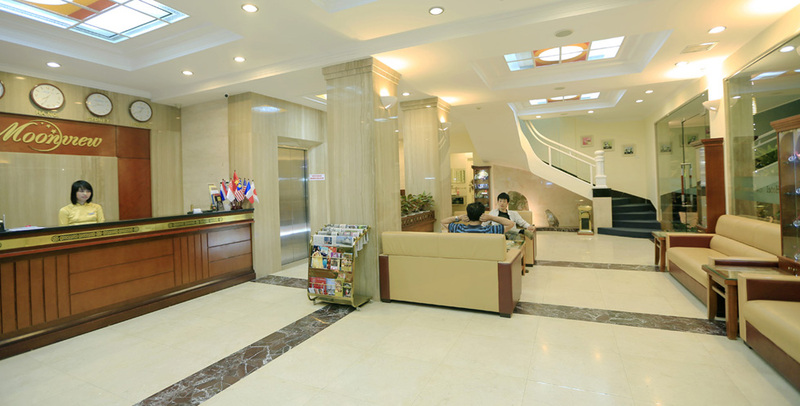 A warm welcome awaits you at the Moon view 2 Hotel, 3 real star Hotel situated in the heart of Hanoi, at the corner of Hang Than street and Nguyen Trung Truc street. A great location allows you to explore and connect to our wonderful city over 1000 years. 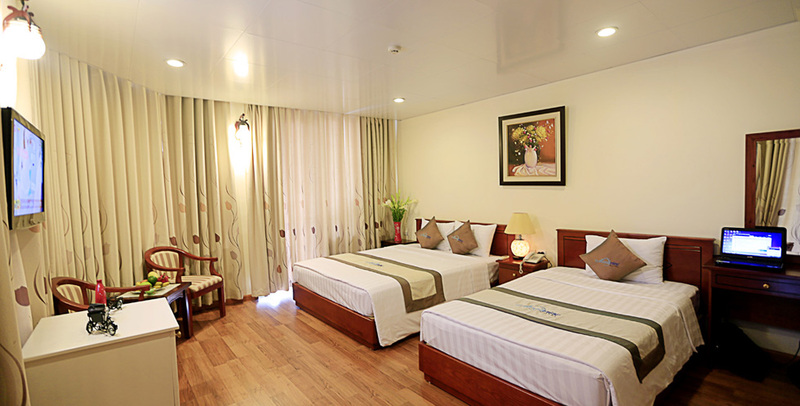 You can stroll out of our doors and enjoy the surrounding shopping area, just take you 5 minutes to walking to the Old Quarter to see stunning views of legendary Hoan Kiem Lake, the famous Opera House. 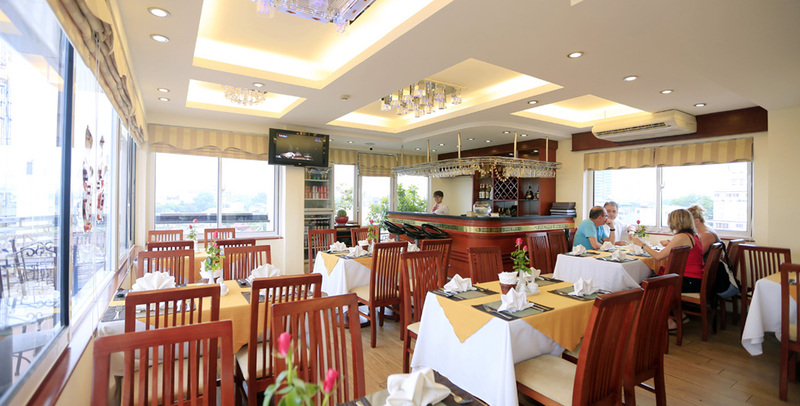 The Moon view2 Hotel offers the perfect combination of modern luxuries, impeccable service and excellent choice for the business or leisure travelers. 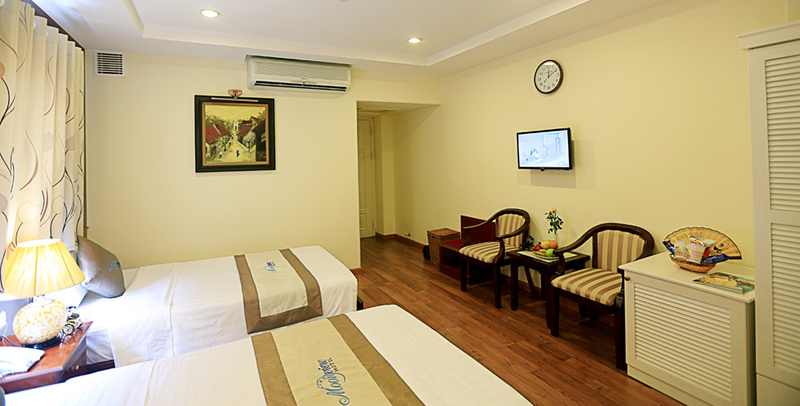 It takes only 10 minute walking to the Old Quarters, Dong Xuan market and other famous place: Ho Chi Minh mausoleum, 35 minutes to Noi Bai airport and 10 minutes to the Railways station. 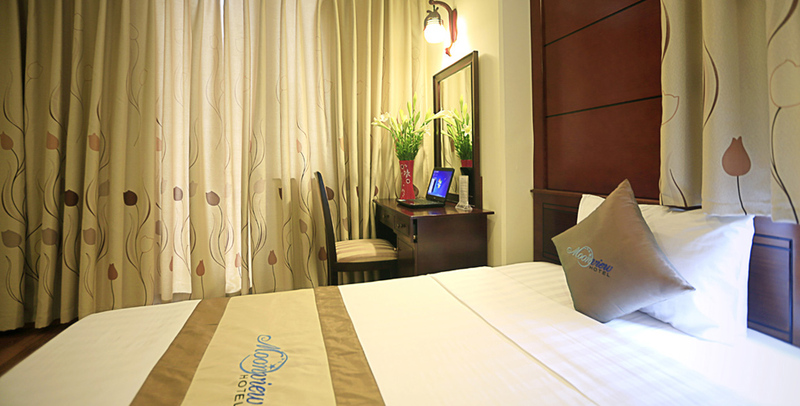 The hotel offers a superb choice of accommodations available in 4 categories: Standard, Superior, Deluxe and Suite. 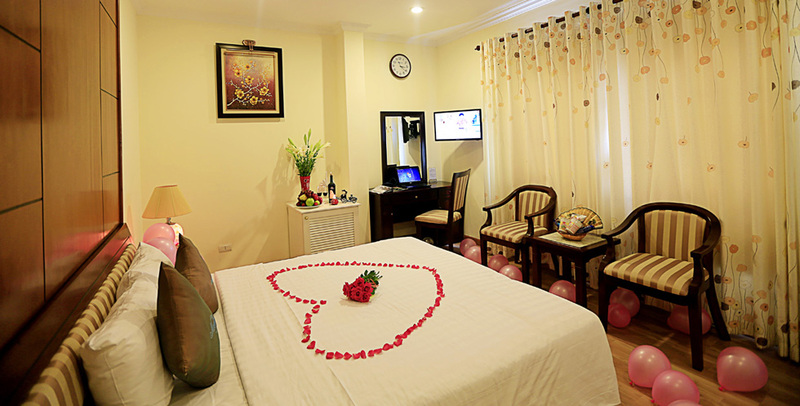 All of the 37 guests’ rooms and suites are tastefully designed which reflect a contemporary and sophisticated style with good thought of comfort to create unique ambience.